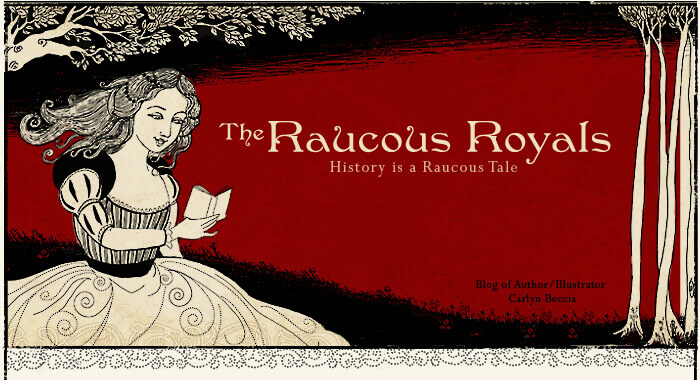 The Raucous Royals: Etsy Shop Grand Opening and royal giveaway! Etsy Shop Grand Opening and royal giveaway! It must have been all that "nesting syndrome" during my pregnancy, but I took up a new craft called needle felting. It is basically stabbing pieces of wool roving with a barbed needle to form a soft, woolly creation. I was so hormonal during the last month of my pregnancy that I think the constant stabbing kept me from hurting my loved ones. The wool looks like this. I have sculpted with clay all my life, but never taken on soft sculpture and now I am addicted. If anyone is interested in a tutorial on how it is done, then I will post something on my art blog. 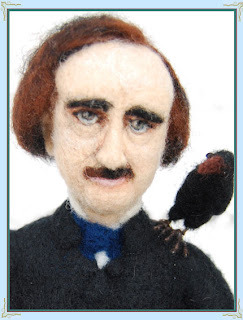 The example to the left is my version of Edgar Allan Poe. It's hard to let go of them after spending 40+ hours stabbing away but I have some of my creations for sale now in my new etsy shop called The Queen's Coffer (of course). I will also be doing custom pet portraits (shown right). I can do horses, cats, dogs, lizards...or whatever marsupial you keep as a pet. It's a great way to memorialize a beloved pet. I also will be selling some of my jewelry designs soon. I have a series called the six wives of Henry VIII bracelets (The Catherine of Aragon is shown to the left). So in celebration of the Queen's Coffer grand opening, I will be giving away the matching Catherine of Aragon earrings shown below. 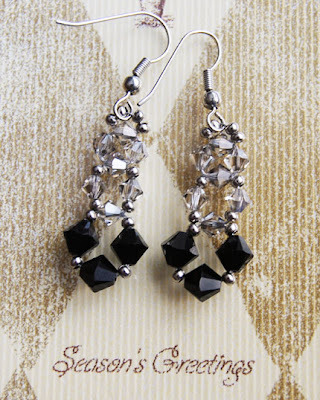 They are made with Swarovski crystals in jet black and black diamond offset with silver seed beads. ($20.00) Of course, there will be a quiz to pick the winner....more to come later this week. 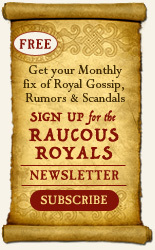 Other giveaways - reminder that all newsletter subscribers are entered to win The Raucous book of the month - Wolf Hall. I have not enjoyed a book this much since I was kid hiding my smutty V.C. Andrews books from my mother. Hilary Mantel's award winning book has a tad more intellectual prowess to it and I don't have to stash it under the pillows. What a cute dog! I entered your virtual store and oh they're really pretty! I can't wait until you start selling the jewelery. I'll take an Anne Bolyn bracelet to wear with my "B" Bolyn necklace! wow! They look great! I tried felting a hat not too long ago and it was quite the process. Fabulous! 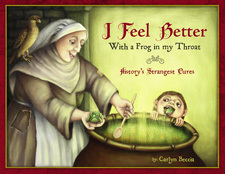 Carlyn, this is gorgeous stuff! 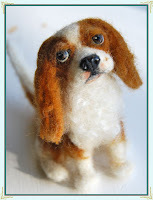 I'd never heard of woll felting before, but you've definitely got a talent for it! The jewelry is amazing, too! This is so interesting! I'm going to learn more about your new craft hobby -wanna learn! So I'm headed to your other blog now. BTW, your jewelry is gorgeous. 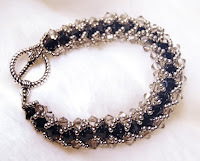 I also make jewelry, plus doggie outfits, illustrate and other artsy fartsy stuff (like my hubby says).